Angie Lottes. New biomass power development may attract new technology to the North Coast, similar to this 0.5 megawatt plant in the Central Valley. Angie Lottes. 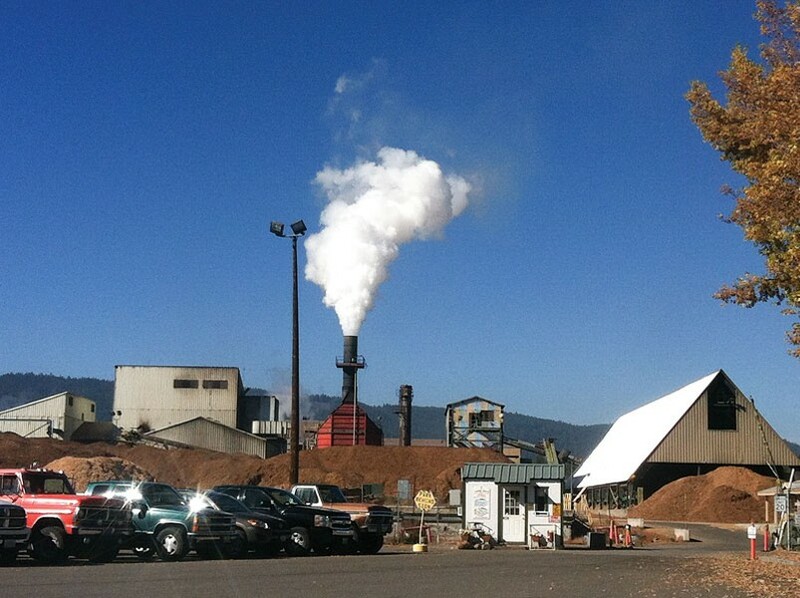 Humboldt County has three steam turbine biomass power plants, similar to this plant in Chester. These plants burn waste wood from sawmills and forestry activities, and provide high quality, living wage jobs. Don't like Pacific Gas & Electric Co.? Then you might be relieved to hear your town and Humboldt County are working fast to give you the opportunity to have a local electricity provider. Last week, the Redwood Coast Energy Authority formally invited an alternative provider to take over for PG&E's electricity. A "request for proposals" asked businesses to submit qualifications to buy electricity, administer billing and provide customer service. Proposals are due Jan. 15. If the Energy Authority is successful, it would be a major change in the way Humboltians receive their electricity. PG&E would still maintain the power lines, but a new supplier would use them to deliver the energy. Instead of stockholders, a countywide community choice program would have its own citizens as benefactors. The authority's plan would take away the profit incentive of those who invest in PG&E to make money. The new "shareholders" would be regular residents instead of investors. The "investing" part would become a routine payment for electricity delivered. There would be no utility money management diversions — like the $5 billion that disappeared from ratepayers when PG&E filed for bankruptcy in 2001, or the state Division of Ratepayer Advocates' estimated $28 billion that was reaped from the Diablo Canyon nuclear plant, or the Humboldt Bay nuke's decommissioning fund bordering on $1 billion. PG&E also devotes time and money to lobbying the state to undermine community choice and alternative energy programs, as noted by Michael Winkler, Arcata mayor-at-presstime and partner and energy analyst at Redwood Energy. Energy Authority Director Matthew Marshall said a switch away from PG&E may also bring modest savings for rate payers. "We're hoping that we can achieve [savings for customers] in the ballpark of 2 percent or so – which isn't huge for an individual customer's bill, but would add up to maybe $2 million or more per year communitywide, which is a significant amount of money that can go back into the local economy," Marshall said. Along with the authority's bid for outside help to deliver a non-PG&E power source, it's been taking votes from the county and cities, from Arcata to Rio Dell, to support the change. It has the two-thirds majority required to implement the PG&E alternative, noted Marshall, even without Eureka, which is set to vote sometime this month. "We'll hopefully be moving forward with this step in the first quarter of 2016," Marshall stated. According to Winkler, the "weighted" votes from the county and city are: Humboldt County 40 percent; Eureka 18 percent; Arcata 12 percent; Fortuna 10 percent; Rio Dell 6 percent, Blue Lake 5 percent (the town rejected that share so far); Ferndale 5 percent; and Trinidad 4 percent. Having a voting share doesn't mean the municipalities are giving money to the effort. "We are not expecting or counting on any financial support from the county or cities — the key support we need from them is just to opt into the program so we have a solid customer base," Marshall said. Humboldt would be following Marin and Sonoma counties as one of the first to provide electricity outside PG&E's monopoly. Winkler said there's a lot of potential in the move. "The key advantage to residents of Humboldt County from community choice is keeping more of the millions of dollars we spend on energy in Humboldt County producing local jobs and increased economic activity," Winkler said. "I feel that the best ways to spend these savings are to re-invest the money in increased local electricity generation, increased energy efficiency and in fuel switching from imported fuels to locally generated renewable electricity." There are many ways to make electricity — nuclear fission, solar thermal and fossil fuels, to name a few. Basically, anything that can boil enough water can turn a turbine. In Humboldt, that includes burning trees and other forest vegetation, called "biomass." As an adjunct to creating a community choice alternative to PG&E, some politicians hope their support will also fuel an upsurge in biomass development on the North Coast. 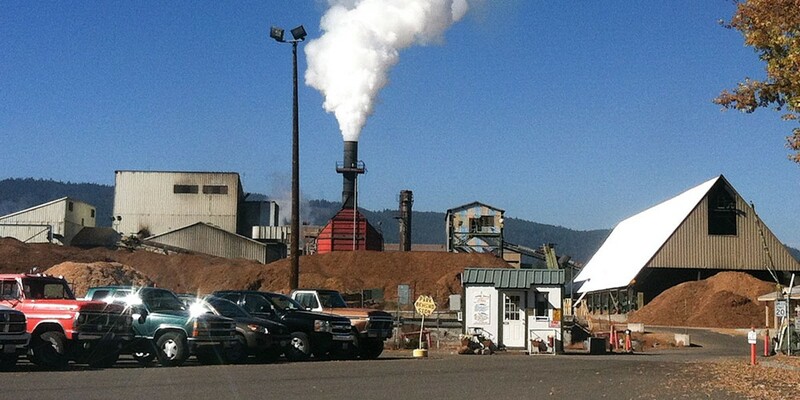 Biomass would be "a win all the way around," according to Humboldt County Supervisor Ryan Sundberg, because it provides jobs at biomass plants, rids forests of "scrap fire fuel" and provides money to promote green energy. Supervisor Rex Bohn is also a major biomass supporter, but Winkler said this form of energy generation is a mixed bag. 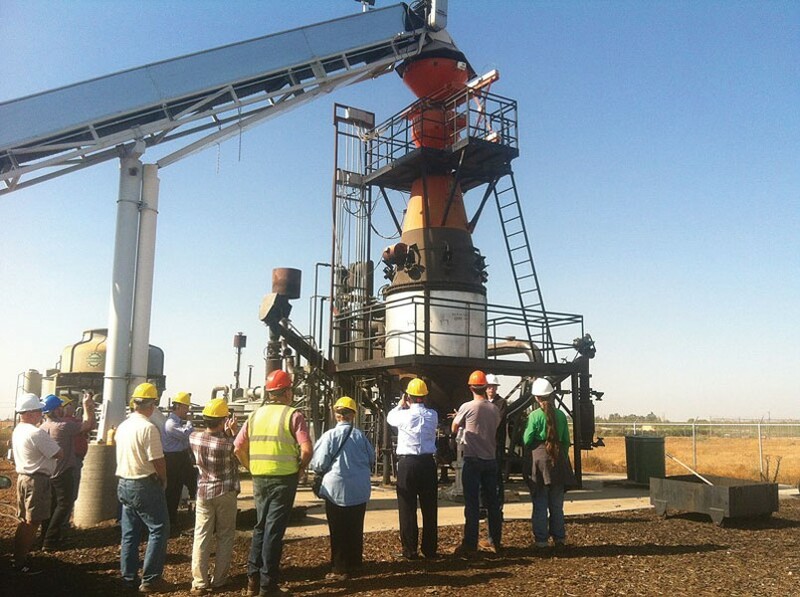 "The advantages of biomass plants are (the) use of a local waste product and local jobs and economic activity. The major disadvantage of the biomass plants is relatively high cost of electricity production compared to other renewable sources such as solar and wind," Winkler said. Unfortunately, burning biomass impacts Humboldt Bay's toxicity. Dioxin, a highly toxic compound, is released from some wood burning. It is an accidental toxin released by heat. For instance, the state warns against burning driftwood fires due to dioxin pollution. It's also locked into some forest biomass from historical herbicide spraying and is unlocked during burning. "State-of-the-art scrubbers to eliminate air pollution are critical for any new biomass energy facility to ensure that air emissions don't further exacerbate dioxin contamination of Humboldt Bay and farmlands," noted Humboldt Baykeeper Director Jennifer Kalt. "Any type of combustion produces low levels of dioxin, but if wood chips from timberlands that have been treated with herbicides are the primary fuel, dioxin pollution could be a serious concern, especially if the herbicides are chlorinated chemicals." On Oct. 30, the state ordered utilities to build or buy 90 megawatts of new biomass and livestock waste power plants, subsidized by utility rates and through the California Energy Commission. (For scale, PG&E's fossil-fueled power plant on the Bay is 163 megawatts.) Another 50 megawatts is set aside by state subsidies and requirements for burning from forest clearing.